Cabinet has extended congratulations to two countries - Brazil for electing far-right Jair Bolsonaro as its president, and Ethiopia for electing its first female president, Sahle-Work Zewde. It also congratulated Cameroon's Paul Biya, who was inaugurated for his seventh term as president. "Cabinet also congratulates the people of Brazil for holding a successful election which sees President-elect of the Federative Republic of Brazil, H.E. Jair Bolsonaro as the next Brazilian president," reads a statement distributed on Thursday after Wednesday's Cabinet meeting. 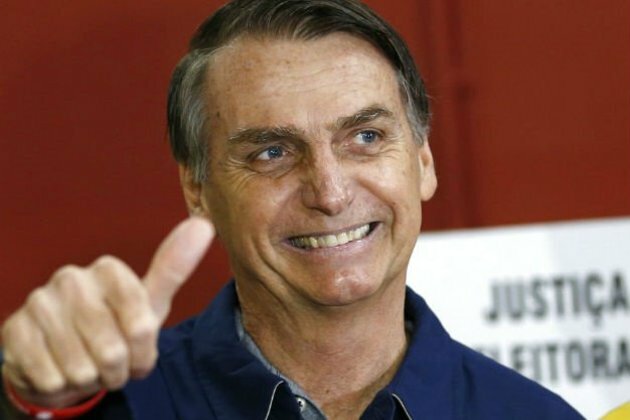 Bolsonaro has been described as a "brash far-right congressman who has waxed nostalgic for Brazil's old military dictatorship" and has drawn comparisons to US president Donald Trump. After Bolsonaro's election last month, Human Rights Watch said Brazil's judiciary and other key institutions should resist any attempt to undermine human rights, the rule of law, and democracy under Bolsonaro's government. The organisation described Bolsonaro as "a pro-torture, openly bigoted member of congress". "Brazil has independent judges, committed prosecutors and public defenders, courageous reporters, and a vibrant civil society," said Jose Miguel Vivanco, America's director at Human Rights Watch. "We will join them in standing up against any attempt to erode the democratic rights and institutions that Brazil has painstakingly built in the last three decades." It is standard practice for Cabinet to congratulate other countries on their elections. In the same statement, Cabinet congratulated Ethiopia on electing Zewde and congratulated Cameroon's Paul Biya who was recently inaugurated for his seventh term as president. "Cabinet also congratulated the Federal Democratic Republic of Ethiopia for electing its first woman president, Her Excellency Sahle-Work Zewde, who is the only current woman president on the African continent. South Africa will continue to strengthen its bilateral relations with Ethiopia on a number of areas which include trade, political and economic relations," reads the statement. "Cabinet sends congratulations to Cameroon's President Paul Biya, who was inaugurated for his seventh term in office. Cabinet calls on all people of Cameroon to work together towards a peaceful solution through an inclusive dialogue process. Cabinet looks forward to the deepening of bilateral political, economic and trade relations between South Africa [and] Cameroon."